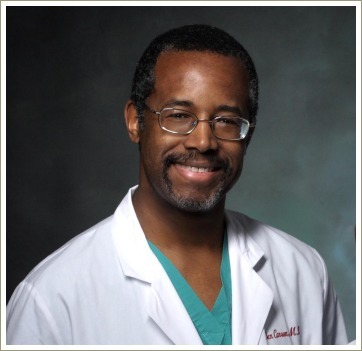 Ben Carson is a neurosurgeon and the Director of Pediatric Neurosurgery at Johns Hopkins Hospital in Baltimore in the US. There are many wonderful doctors like Ben in the world but probably not too many who had a childhood like his. The story of Ben's life is told in a book called 'Gifted Hands', a fascinating and inspiring story which was first published in 1973. Gifted Hands is well worth reading, particularly because it demonstrates how incredibly important reading is for a child's success at school and in later life. 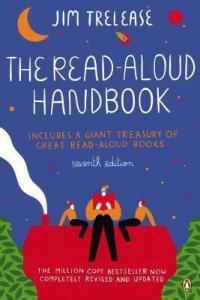 I first came across the Ben Carson story a few years ago when I was reading Jim Trelease's book The Read-Aloud Handbook. In his book, Jim tells the story of how Ben's mother brought up her two sons alone with very little money in an impoverished neighbourhood in Detroit. With very little education herself, Sonya Carson realised that reading was the key to success at school and beyond and insisted her boys read from an early age. 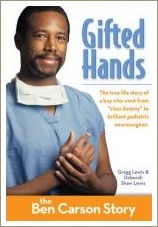 A few weeks after I first read about Ben Carson on the internet, I came across an old copy of Gifted Hands in a second-hand book shop and took it home to read. The book is absolutely brilliant and an incredible story of a mother's perseverance and belief in her sons and in the power of reading and education. 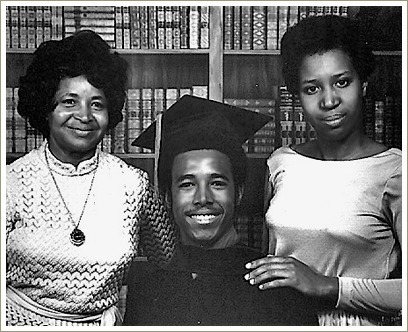 Although she was virtually illiterate herself, Sonya Carson was determined that her sons would go to college.She never waivered from this belief and fought the system when it seemed her boys were being pigeonholed as "black kids who couldn't cope with college." Despite incredible set-backs, she continued to instill in her sons the belief that they could succeed at anything they wanted to do and that they should aim high, persevere and work hard in life. 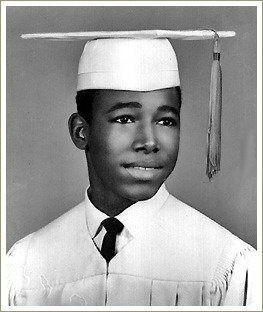 Benjamin Solomon Carson was born on 18 September 1951 in Detroit, Michigan. While Ben and his brother knew they were loved by both their parents, Ben was aware of tension between his parents when he was young. He later found out that his father was a bigamist with another family living not far away. When Ben was eight and his brother Curtis was ten, their parents divorced and their mother, Sonya, was a single parent from then on. Money was very tight and Ben's mother worked two, sometimes three, jobs to make ends meet. Because she had very little education and few skills, Sonya often did housework for well-off families. This gave her an insight into what went on in the homes of people who had successful careers and good incomes. She was very interested in what these successful people did that people in her neighbourhood did not do and noticed that the better-off families had books around and read a lot. By the time he was in fifth grade, Ben was at the bottom of his class. His classmates called him "dummy" and, probably not surprisingly, he had developed a violent, uncontrollable temper. When he brought home a very bad report card, Sonya realised she had to take action. She knew her sons were not dumb and had an instinctive understanding of the importance of reading so she told the boys that they were to take out two books each from the library every week. She limited them to two or three TV programmes a week and insisted they write a report on the books they read for her to read. The boys weren't at all keen on this but their mother didn't give them a choice. It wasn't until many years later that Ben realised his mother couldn't read well enough to read the reports. Over time, Ben and his brother both began to enjoy reading and their school results in all subjects began to improve. 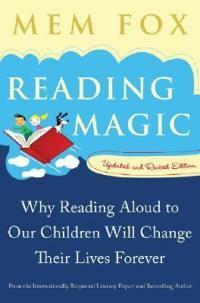 "By reading so much, my vocabulary automatically improved along with my comprehension. Soon I became the best student in math when we did story problems." Ben continued to read voraciously on all subjects and, through reading, he began to understand that he could do and be anything he wanted. He decided to become a doctor and worked on learning to control his temper. The anger and frustration he felt, particularly in relation to his family's poverty, was easier to manage because he now realised two important things: that he had the power to change his circumstances and that therefore the situation he was in was only temporary. 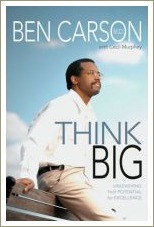 Ben graduated with honors from high school and attended Yale University, where he earned a degree in Psychology. 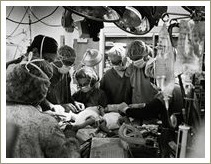 He went on to the Medical School of the University of Michigan, where his interest shifted from psychiatry to neurosurgery and then to pediatric neurosurgery. His excellent hand-eye coordination and three-dimensional visual and reasoning skills meant that he excelled as a surgeon and he was appointed Director of Pediatric Neurosurgery at Johns Hopkins Hospital in Baltimore at the age of only 32. Ben has won many awards for his work over the years and on 19 June 19 2008 received the Presidential Medal of Freedom from President George W Bush. In 1987 he made medical history with an operation to separate a pair of Siamese twins. Patrick and Benjamin Binder were born in Germany as craniopagus twins. This means they were joined at the back of the head, sharing intricate blood vessels flowing into and draining within each of their bodies. Previous operations to separate craniopagus twins had always failed, with one or both babies dying from blood loss. 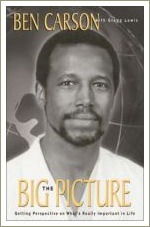 Dr Carson developed a technique previously used only by his thoracic colleagues, leading a 70-member surgical team in a 22-hour operation. The surgery was successful and the twins are now able to lead independent lives. Since separating the Binder twins, Ben has operated to separate a number of other pairs of craniopagus twins. His other surgical innovations have included the first intra-uterine procedure to relieve pressure on the brain of a hydrocephalic fetal twin, and a hemispherectomy, in which an infant suffering from uncontrollable seizures has half of its brain removed. This stops the seizures, and the remaining half of the brain actually compensates for the missing hemisphere. 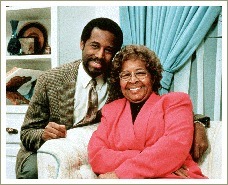 At Yale, Ben met Candy Rustin through the church they both attended and they married in 1975. They have three sons: Murray, Benjamin Jr and Rhoeyce. Ben and his family are members of the Seventh-Day Adventist church and Ben's faith has been an important factor in his career. His mother's motto was "Learn to do your best and God will do the rest" and she passed this philosophy on to her sons. Ben is open about the fact that he frequently prays before he operates, asking God to guide him.